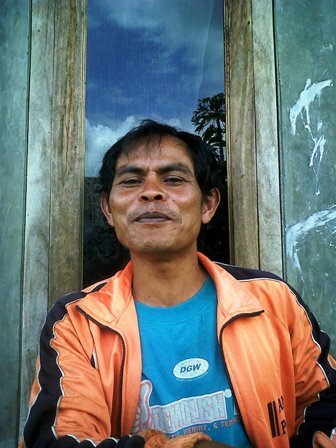 We discover our quite close farmer-friend Asep Sukatani who claims himself as vegetable grower in fact is also a part of a community who has Arabica coffee plants in their plots of land. We visited in December and we find that in the past they had even more the much appraised coffee varietal of the old typica. 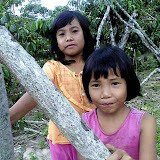 However we will have to re-grow it because all existing coffee plants among the vegetable fields, we suspect, are of the new ones, i.e. 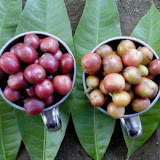 the coffee varietals developed in Jember of East Java. Local government’s office overseeing commodity plants distribute the seedling freely from time to time for the farmers to grow. For the time being, however, as we suppose they are not bad at all, we will later this year conduct experiment to collect the existing beans from the farmers. So far they do not pick the beans. 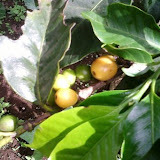 They just let the beans on the trees until the beans overripe and turned into black .. What a pity.. They do so because nobody would buy their cherries. 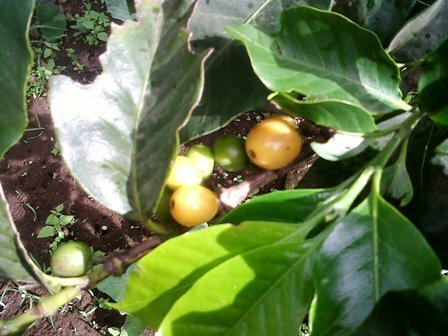 And perhaps why middlemen skip approaching the farmers as the volume of the coffee cherries is too small in term of business. See more our travel photos by clicking this image ..
Mengapa Petani Ogah Petik Buah Kopi Merah?